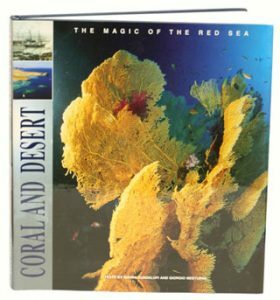 Corals and deserts: the magic of the Red Sea. Artist/Author: Mesturini, Giorgio and Gianni Guadalupi. WAS $80. The Red Sea is a wonderfully fertile marine paradise set in an extraordinary arid landscape. The flora and fauna on the sea bed are rich and varied, the greatest attraction being the coral formations, the brightly coloured tropical fish, and the predatory barracuda, rays and sharks. By contract the desert which surrounds the shores of the Red Sea is a lunar landscape littered only with ruins of ancient civilisations: the Arabian Peninsular, the east coast of Africa, the Sinai. This full colour book celebrates this remarkable natural environment, and the contracts that lie above and below water level. 550 remarkable colour photographs celebrate the underwater life that normally only divers and underwater naturalists see, and the desert landscape that is trodden by very few tourist feet.